How well is the M3 working in qemu? Does arm side mzrm messaging work, so stuff like this can be debugged? Menu navigation works only in playback mode, without images on card(probably because of missing the Omar core). Other alternative (for me) is to port a1ex's mpu exception stuff as I see no easy way to intercept this drawing path. Probably there is another way. But it's need to check if canon code updates the pointer at 0xBFF00420 or not. Have you published your qemu changes somewhere? I meant the higher level ARM side functions, many of those don't call any RAM functions and can only be intercepted with the MPU exception method. I'm still trying to research what jedidraw is capable of (the yuv bitmap method). I already found that one of the 0x64 (100 decimal) bytes is image brightness. Would be great if it supported different image formats or transparency. On the m10, one of the bytes in the JediDraw struct appears to control mixing the old drawings and the new. It is initially 0x64 (this 0x64 is separate from those words that are set to 0x640064). From Ant's example, it looks like this struct member is either missing or located elsewhere on the m3. On the m10, it's in the second word of the big struct. I could not find this until I stopped experimenting with changing the fw's JediDraw messages on-the-fly: Canon uses multiple layers for almost everything, so many of the changes have no visible effects because lower and upper layers are concealing them. Also found a possible hook, called right after GraphicSystemCoreFinish is sent. Did not test it yet. From Ant's example, it looks like this struct member is either missing or located elsewhere on the m3. On the m10, it's in the second word of the big struct. Do you mean this word 006a64a0[+128]: 00640100 ? There need to see your logs. Which GUI elemets use this mixing? Just in case: did you call Clean_data_cache_line? Which GUI elemets use this mixing? I only hand-picked some JD structs, none of them has a value different from 0x64. Historically, Canon has been avoiding overlapping graphics as far as I can tell. Yes, I based my function on your example. A logged session (startup in playback mode and entering thumbnail-view) of JD structs is attached. Oops. I was not doing this during that part of research, so that may be it. But the multiple layer stuff I mentioned still stands (drop shadow, borders, etc). If you mean shadow around OSD icons - it's a border that can be modified in JD structure. Your JD structure is slightly different. Can you specify your mixing word? Historically, Canon has been avoiding overlapping graphics as far as I can tell. Found this situation: see histogram and focus frame. Not sure what mixing word is, but I added notes to the example struct above. JD can draw borders by itself, but I think the drop shadow is not specified in the same message as the yuv bitmap. Yeah, and seems like there's more of that. It's very likely though that the histogram and/or grid and/or focus rect is drawn onto the other rgba surface, so only the end result is mixed. It's very likely though that the histogram and/or grid and/or focus rect is drawn onto the other rgba surface, so only the end result is mixed. Yes. 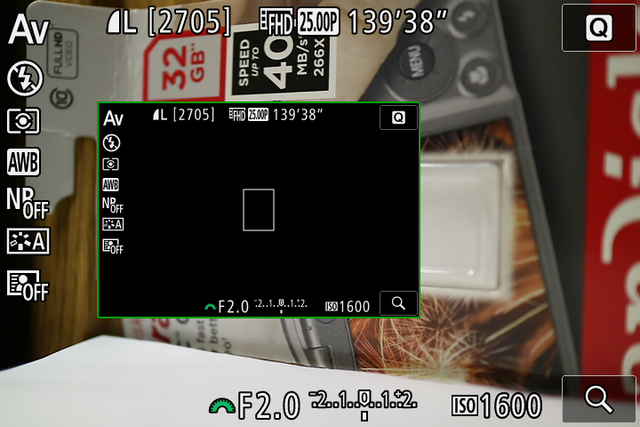 Focus frame is drawn at 42703000 and histogram is drawn at 42541000.
found a possible hook, called right after GraphicSystemCoreFinish is sent. Did not test it yet. Calling my jedidraw (drawing yuv bitmap, same size as the one in the playback information display menu) from that hook worked. This method obviously only updates that bitmap when the Canon overlay is being drawn. I started collecting bigger logs by using one of the RAM areas that appear to be unused for a longer time. (I filled a large part of RAM with a magic word and used a function to find untouched areas). For logging format, I currently output each jedidraw (and other) message in one line, csv format. This log can then be loaded in a spreadsheet (LibreOffice Calc in my case) which can help evaluating some of the words in those messages.